Unique visitors grew 400% in the month after launching our new website! That’s what the new AnglersChannel.com is. In one of the most highly-customised builds we’ve ever attempted, our team of Potato-engineers managed to craft a robust website for U.S.-based fishermen hunting a very specific prey. News, social media, video and even sophisticated mapping features all came into play when South Carolina-based Angler’s Channel began discussions on their first Metal Potato made website. 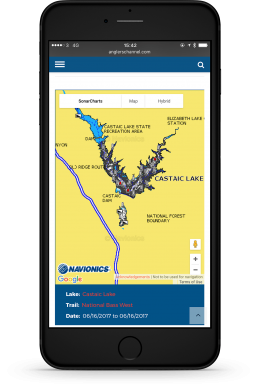 The resulting product took one of the most popular outdoors websites in the United States and kicked it into overdrive by integrating Google Maps with Navionics sonar charts—so anglers can scout lakes and rivers using not only satellite imagery and street view, but actual topographical waterway charts as well. 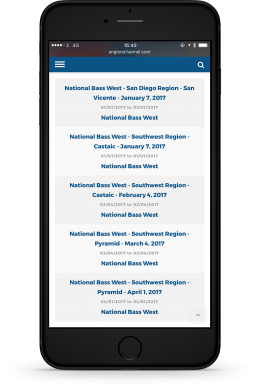 This, combined with advanced options for adding meta data to posts, a detailed fishing tournament posting system and unique display options to tie maps into stories makes AnglersChannel.com one of the most intricate projects we’ve ever completed. As with all of our U.S. websites, collaborating across the pond was a breeze. 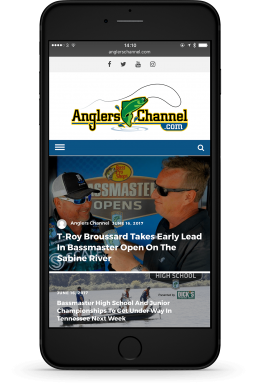 And Anglers Channel joins the ranks of our panel of cloud-based websites through a Potato Care hosting plan that puts them on a dedicated system of American servers. After an intense, month’s long build, those servers are finally buzzing with a fresh, modern website for their readers. The road was long—and it involved the manual transfer of tens of thousands of archived posts from a Drupal CMS to WordPress—but claiming victory over the challenges along the way makes this website an all-time catch for our team. Having worked with an associate of Metal Potato’s and seeing their work on other sites, we felt very comfortable with them to deliver what we were looking for in a redesigned website. They knew right away what we were expecting and performed our crossover from one platform to another flawlessly. There was never a gap in communication, even with the UK/USA time difference. They seemed to be available 24/7 to answer questions. I would not hesitate for one second in recommending Metal Potato. We feel we have a long term partner in ‘Team Spud’.